NEW ORLEANS – A New Orleans animal clinic filed suit after a construction accident allegedly resulted in lost business. NOLA Animal Clinic filed suit against Hill Brothers Construction Company Inc., AT&T Inc. and their insurers in the Orleans Parish Civil District Court. 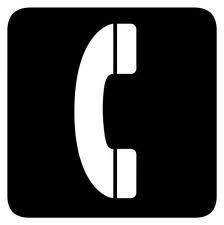 NOLA Animal Clinic claims that on Nov. 16, 2011, at approximately 8 a.m., the phone lines in the clinic went dead. Phone lines that served the business were severed and the phones were inoperable for two days, the complaint states. The suit alleges that AT&T employed Hill Brothers without proper supervision. An unspecified amount of damages is sought for the income lost as a result of the incident. The plaintiff is represented by the Rai Law Firm of New Orleans.